Marcela Oniga has been involved with Mozilla since 2011. She is from Cluj Napoca, Romania and works as a software quality assurance engineer in Bucharest. She has solid Linux system administration skills, based on which she founded her own web hosting company that provides VPS and managed hosting services. She keeps herself focused by being actively involved in many challenging projects. Volunteering is one of her favorite things to do. In her spare time, she plays ping pong and lawn tennis. Marcela Oniga is from Romania in eastern Europe. Hi Marcela! How did you discover the Web? I guess I discovered the Web when I first installed Firefox. Before that, I had read articles about the Internet in computer magazines. I heard about Mozilla in 2010. This was a time when open source conferences and events in Romania were not so popular. 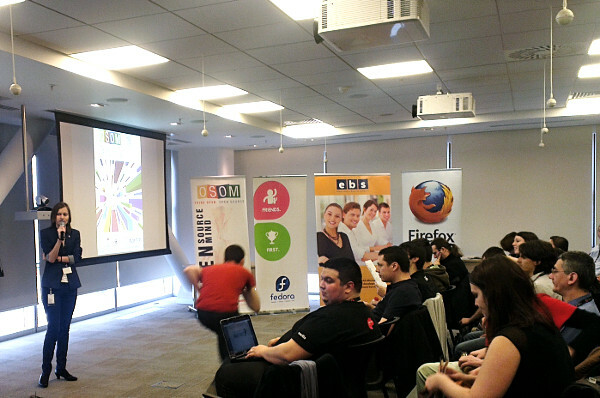 Now it is very easy to teach and learn about Mozilla projects; Mozillians are all over. I’m passionate about technology and I’m a big fan of open source philosophy. This is one of the reasons why I founded a non-profit organization called Open Source Open Mind (OSOM) in 2010. OSOM compelled me to contribute to open source projects. Along with other fans of open source, I have organized FLOSS events in many cities across Romania. We organize an annual OSOM conference, through which we support and promote Free, Libre and Open Source Software. Marcela Oniga speaks at the Open Source Open Mind conference in February 2013. Ubuntu was my first open source project. I’m a big Ubuntu fan, Ubuntu Evangelist, an active member of Ubuntu LoCo Romania and also part of the Ubuntu-Women project. 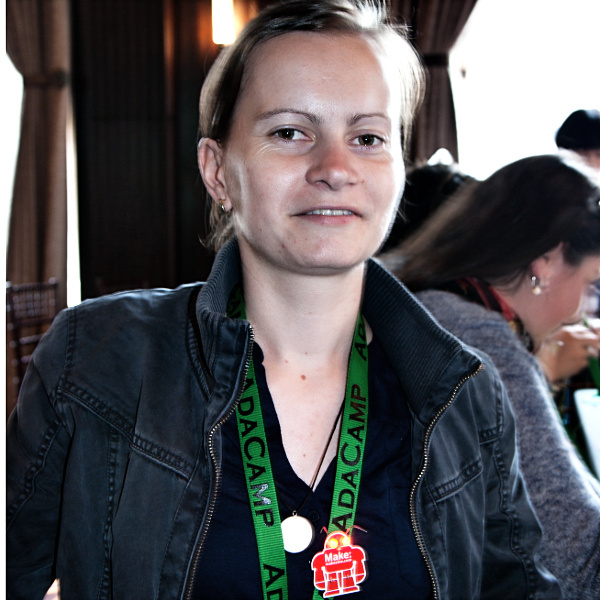 In 2011 Ioana Chiorean and many others started to rebuild the tech community in Romania. At that point Mozilla became the obvious choice for me. I knew it was one of the biggest open-source software projects around and that it was very community-driven. I performed quality assurance activities for Firefox for Android and Firefox OS. I also contribute a bit to SUMO and the Army of Awesome. I’m a part of WoMoz, through which I attended AdaCamp, an unconference dedicated to increasing gender diversity in open technology and culture. Marcela Oniga at AdaCamp 2013, San Francisco. During the make-a-thon session she created a robot badge whose eyes are small LEDs. Firefox OS is my favorite project in Mozilla. I’m very excited about having the chance to meet and work with the Firefox OS QA team. I received lot of support from the team. I’m proud and happy that my small contribution to Firefox OS as a quality assurance engineer matters. 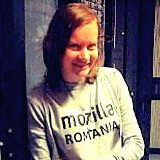 You belong to the Mozilla Romania community. Please tell us more about your community. Is there anything you find particularly interesting or special about it? We are a bunch of different people with different ideas and views but we are have the same mission: to grow Mozilla and help the open web. Marcela Oniga along with Alina Mierlus and Alex Lakatos at the Mozilla Romania booth during the World Fair, Mozilla Summit 2013. 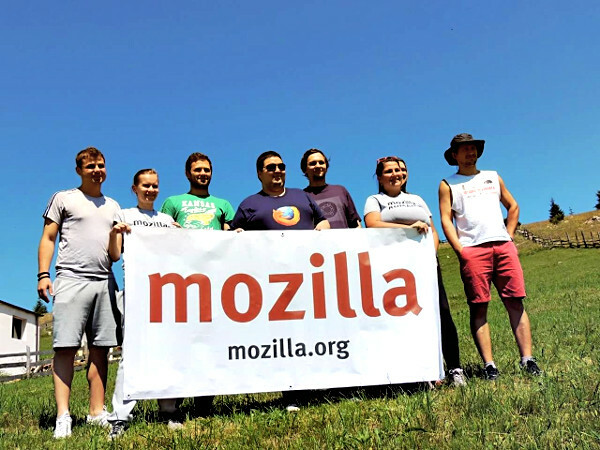 My best memory is a trip I took back in 2013 with the coolest Mozilla Romania community members. We went to Fundatica, a commune in the historic region of Transylvania. Best weekend ever! Marcela Oniga on a 2013 trip to Fundatica, Brașov County, Romania with members of the Mozilla Romania community. I advise everyone to contribute to open source projects, especially to Mozilla. It is an opportunity to learn something new; it’s fun and interesting and you can only gain from it. 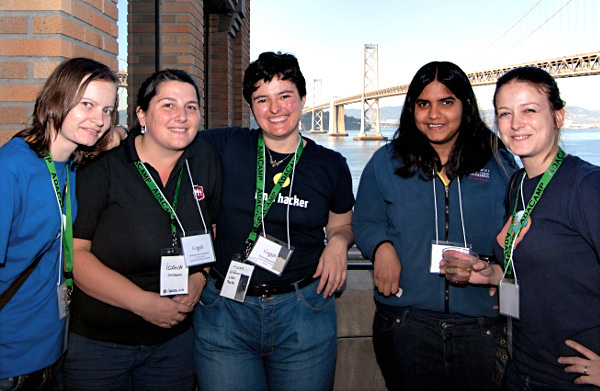 Marcela Oniga with other members of WoMoz – Ioana Chiorean, Flore Allemandou and Delphine Lebédel – in front of the San Francisco Bay Bridge in June 2013. Open minded community that’s making the web a better place. I believe Mozilla’s future is bright. Millions of people around the world will help push the open web forward through amazing open source software and new platforms and tools. Is there anything else you’d like to say or add to the above questions? The Mozilla QA and Tech Evangelism teams would like to thank Marcela Oniga for her contribution over the past 4 years. I met Marcela when she invited me to speak at the OSOM conference in Cluj-Napoca, Romania. 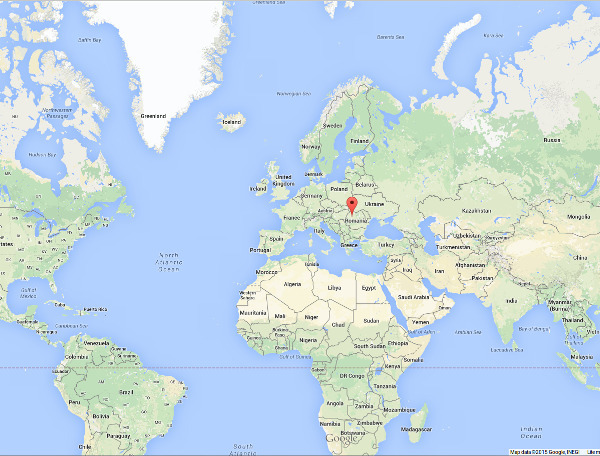 It was my first time that far in Eastern Europe and I wasn’t too sure of what to expect there. Granted, I had already met Ioana and a few other Mozilla reps from Romania at the whirlpool of activity which is MozFest, but sadly it was just briefly lived interactions. However, Marcela shone from day one. She organised everything super efficiently, told me what they needed from me, ensured all my questions were answered promptly and made us feel like at home. On the day of the conference, she orchestrated the strings and everything just fell into place, as if it was the most natural thing to do. Probably the thing I liked most is that she is an accomplished, quiet leader. You don’t need to be loud and immensely popular to be successful. Passion and hard, constant work are what actually matters. Marcela is passionate about doing good and good things, and her dedication is nothing short of spectacular.